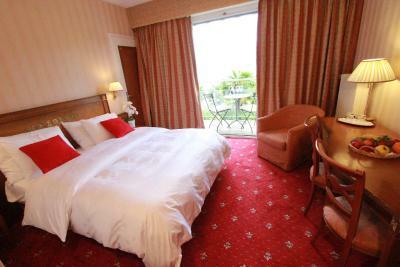 Lock in a great price for Golf Hotel René Capt – rated 8.4 by recent guests! The choice at Breakfast was excellent - the views from the hotel were spectacular - the cleanliness and decor were excellent. The staff, especially the lady in the reception was very helpful with everything. She upgraded our room and solved our reservation mistake without any cost. She was very helpful. The location, room view was perfect. The decoration was old swiss style. 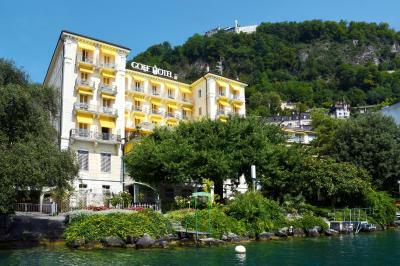 Location was perfect, the rooms at the rear of the hotel overlooked the lake, we were lucky enough to get a free upgrade to the lake side. 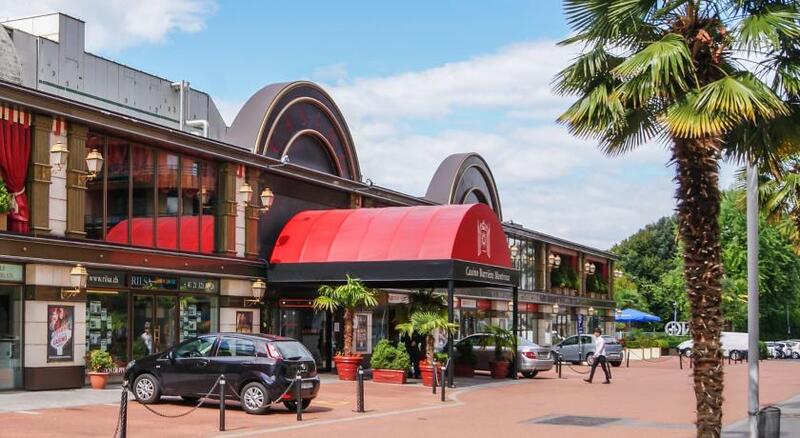 If we were on the city side this review would have been very negative based on value for money - the street side is very noisy and it gets worse when the trains pass as the train line is opposite the main entrance of the hotel. The experience was great with a fabulous lake view. 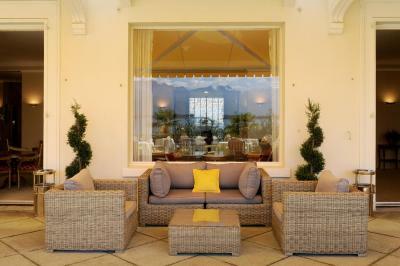 Extraordinary views, excellent location, excellent staff. Beautiful,beautiful. The room we had, the view, the entire staff from The General Manager, Isabel at the Reception, Our Portuguese waiter, the Indonesian bus boy. All were so friendly, warm, made you feel at home. I will always stay and recommend this hotel. The most luxurious bed I ever slept in. 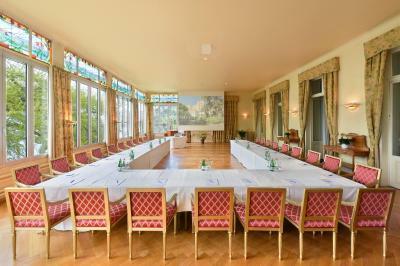 Huge, beautiful, quiet room. 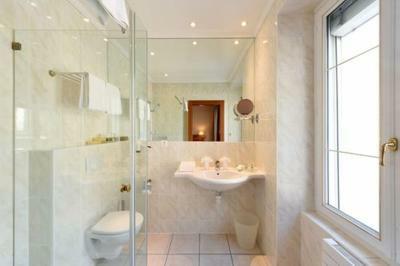 Lovely, large, bright bathroom with incredible citrus infused body lotion. 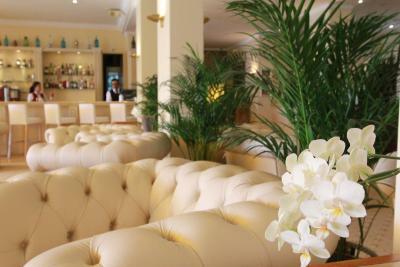 The lobby and lounge areas were beautiful and I felt like a queen eating a scrumptious breakfast in your dining room. 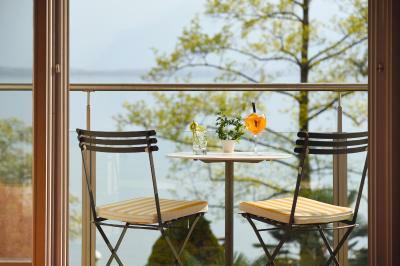 The view of lake Geneva from your patio was breathtaking. 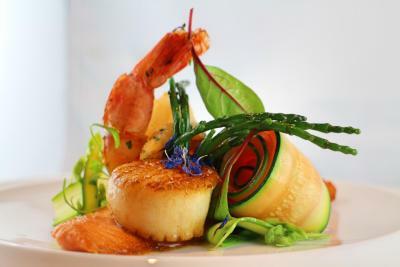 Your staff is exceptionally delightful ! ! 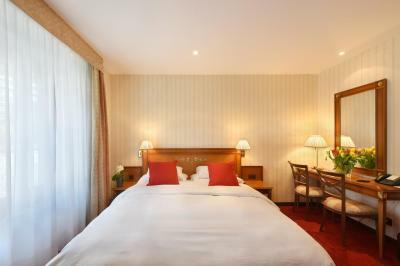 Golf Hotel René Capt This rating is a reflection of how the property compares to the industry standard when it comes to price, facilities and services available. It's based on a self-evaluation by the property. Use this rating to help choose your stay! 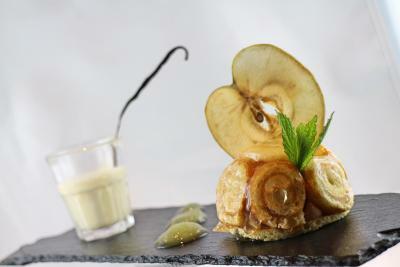 One of our best sellers in Montreux! 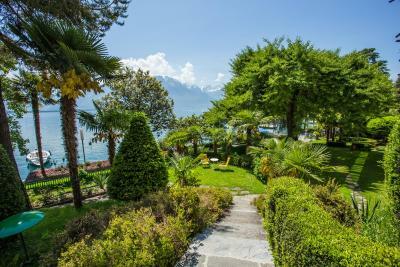 Located directly on the lakeshore, the Golf Hotel René Capt offers you a wonderful view of the French Alps, Lake Geneva and the world-famous Castle of Chillon. Set in its own garden, the hotel's beautiful and quiet location, nicely decorated rooms, the spacious halls and the fine cuisine will make your stay at the Golf Hotel René Capt in Montreux an unforgettable one. 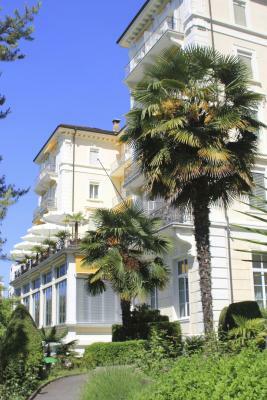 Montreux, the Pearl of the Swiss Riviera, offers a variety of opportunities for recreational activities and one of the most agreeable climates in Switzerland. 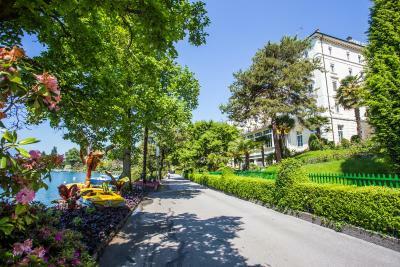 Climb the mountains yourself or do it comfortably by taking little trains or embark on stately steamers crossing the lovely Lake Geneva. 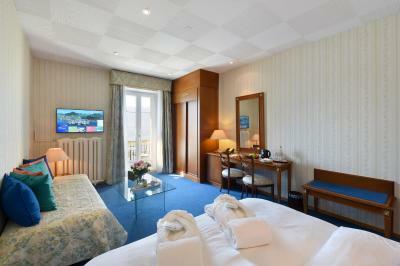 When would you like to stay at Golf Hotel René Capt? This room overlooks the city. With a satellite TV and a private bathroom. 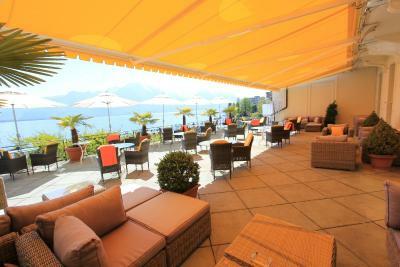 Public parking is available on site (reservation is needed) and costs CHF 18 per day. 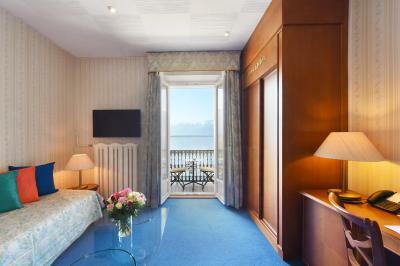 This individually decorated room has a balcony with a view of the lake. 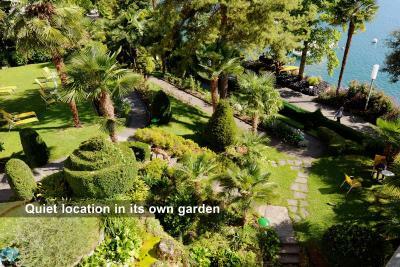 These rooms either have a lake-view balcony or are on the garden level. 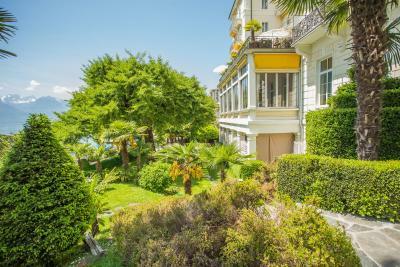 These room either have a lake-view balcony or are on the garden level. 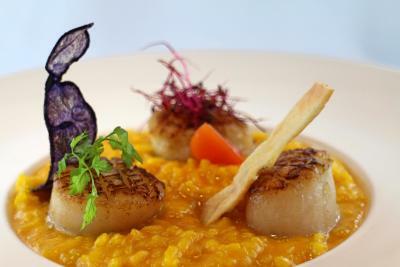 This offer includes a breakfast buffet, an aperitif between 18:00 and 19:00, and one 3-course dinner for 2 people at the hotel. 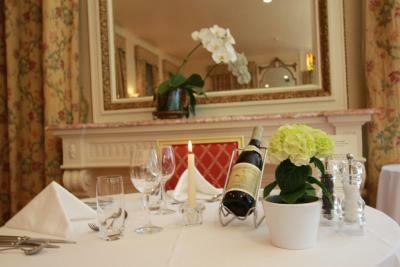 Please note that only one dinner per stay is included in the price. 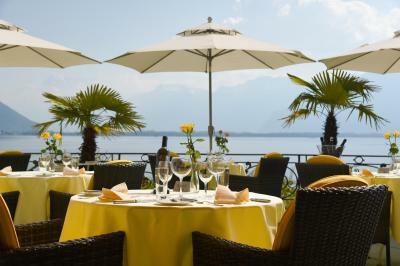 This offer includes a breakfast buffet, an aperitif between 18:00 and 19:00, one 3-course dinner for 2 people at the hotel, and a visit to Chillon Castle. 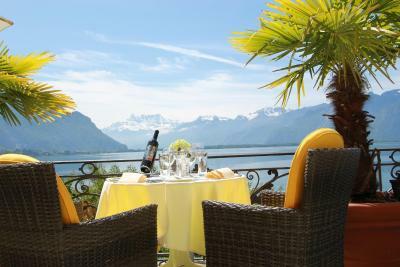 One of the most beautiful views in Montreux of Lake Geneva, Château Chillon and the Swiss and French Alps! 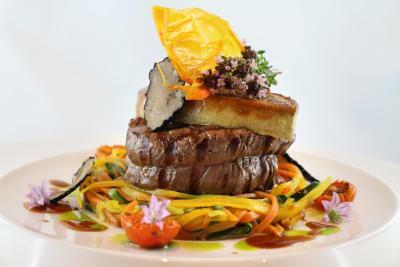 House Rules Golf Hotel René Capt takes special requests – add in the next step! Golf Hotel René Capt accepts these cards and reserves the right to temporarily hold an amount prior to arrival. 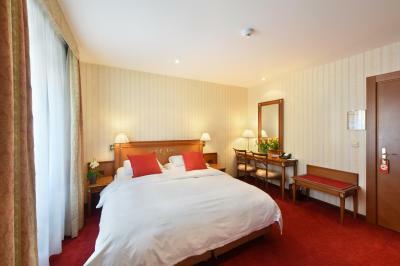 Please inform the property before arrival if you need 2 single beds instead of a double bed. 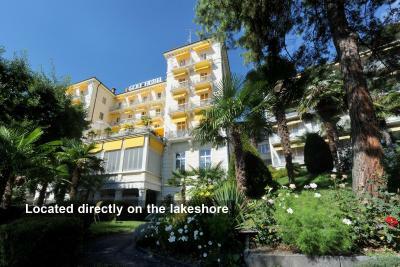 Quiet location next to the see promenade. 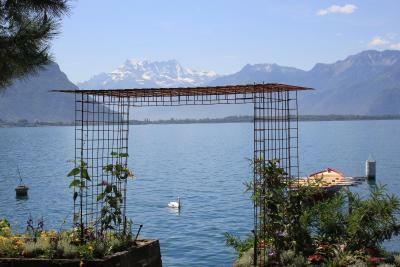 Marvelous view of lac Geneva, the Alps and the château de Chillon. Breakfast buffet was excellent. 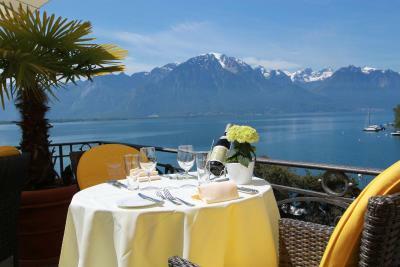 In-house lunch on lac side terrace was fantastic. The coffee at breakfast was too strong and not hot enough. The warm food like bacon and eggs were lukewarm - not warm enough. 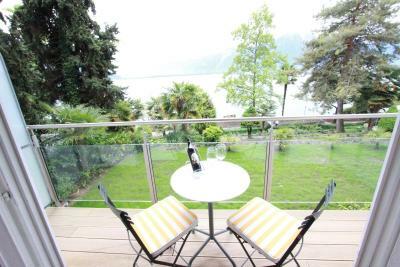 Amazing location with views on the river. 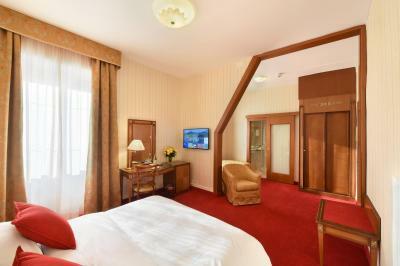 The room was really large and luxurious- it looked a lot better in the reality than on the website or pictures when booking. The amenities in room very nice - even sewing kit. Also kettle in room. 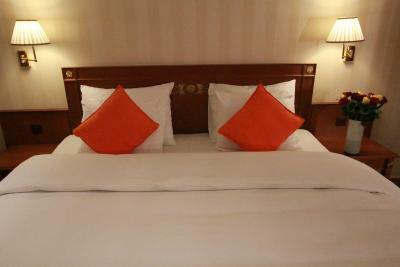 Lovely comfortable bed. Fantastic homemade yoghurt for breakfast. Breakfast room also great views. Reception was helpful in giving maps and directions. 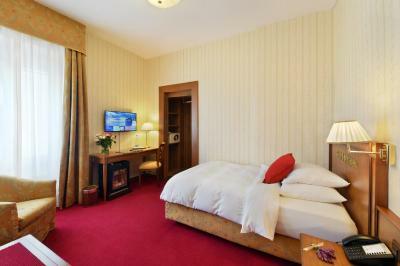 Hotel provides a panorama card which gives you free transport for local area. The breakfast is nice and the bed is comfy. 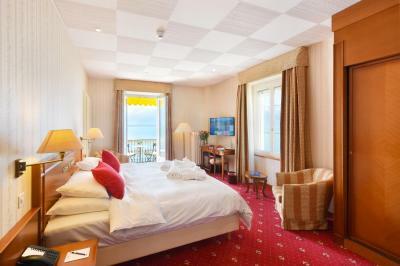 Beautiful hotel in Montreux. Looking out on our balcony in the morning at the spectacular view of snow capped mountains and taking a walk by the lake ; simply stunning. 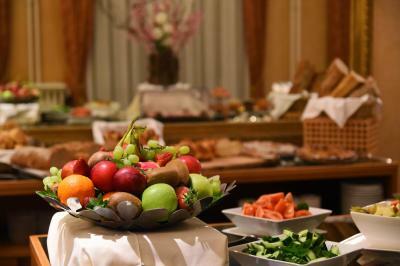 Staff so accommodating and lovely variety of a healthy breakfast each morning. 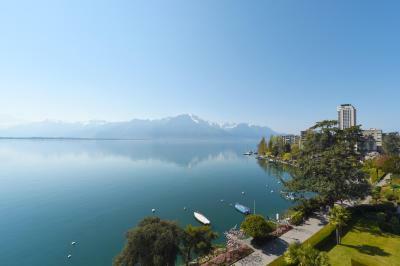 The Location is wonderful, we can see the Chillon Castle from the room. The breakfast is great. 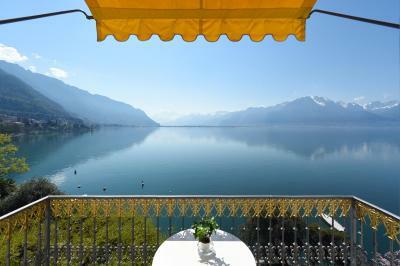 Wonderful position overlooking the lake. 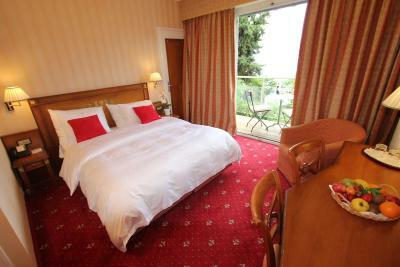 Room was lovely, big comfortable bed and balcony. Attention to detail was perfect. I had a problem with the heat regulation in my room, if i opened the windows it was noisy as my room faced the road. Great location, friendly stuff. Breakfast was delicious as well. Great view if you book a room with Lake view. In the room you can hear each step of somebody who live 1 floor upper. That is because of old floor. Beautiful view on the lake. Beautiful surroundings. Close to Chillon castle, close to center of Montreux with Freddie’s statue. Super view from bar’s terrace. Very old house and comfortable. Clean room. Breakfast is good, restaurant with beautiful view.